Thank you for supporting The Castle Historic House Museum! Since 1994 The Castle Historic House Museum has opened its doors to nearly four thousand visitors per year and our educational programming has engaged many others in our local community. 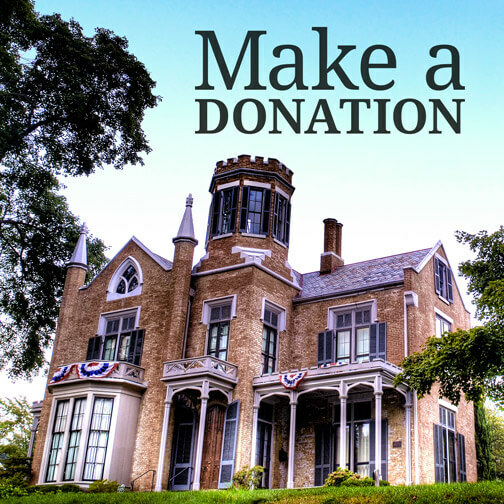 As one of the most popular historic sites in Southeastern Ohio, The Castle relies on donations as one of our main avenues of support. Please consider making a donation today to aid us in providing quality history education to our out of town visitors and mid-Ohio Valley residents.